Receiving a scoliosis diagnosis can be emotionally devastating for any patient. The consequences of the condition are virtually guaranteed to affect the mind, while in some instances, they can also affect the body, potentially causing pain and functional deficits. The process of diagnosing scoliosis is rather simple and straightforward. However, while evaluation of a person to screen for scoliosis is easy, the subjectively of the process can create real problems for patients in various ways. Some patients are told that they have scoliosis when the degree of curvature does not qualify to be called anything other than “normal”. Other patients are so poorly managed by diagnosticians that they begin to suffer pain and disability from the nocebo effect of the process, rather than the physical ramifications of scoliosis itself. Still other patients already have back or neck pain when they are diagnosed and are provided with a scapegoat diagnosis, blaming the scoliosis for the symptoms when all the while, some other actual origin of discomfort remains undiscovered and therefore untreated. All three of these problems are commonly seen during the diagnosis of scoliosis and all three can cause lifelong problems for affected patients. This crucial resource section remains our most popular, since it not only covers the actual diagnostic process for scoliosis, as well as the tools and practices utilized, but also goes a step further to implicate why diagnostic evaluation can go awry and create pathology in the mind, even when no pathology in the body truly exists. The diagnostic process for scoliosis usually begins with visual assessment of posture and anatomical positioning. Trained healthcare workers from all backgrounds can usually recognize even the subtle signs of mild scoliosis by acute observation of their patient. A few specific tests can confirm the presence of suspected scoliotic curvature and will usually warrant further analysis of the extent of the condition via x-ray imaging. If symptoms are present, MRI technology might also be order to check for interactions between the curvature and the remainder of the vertebral column. Most scoliosis patients are children and must be handled very delicately throughout the evaluation process. Doctors, and especially school nurses, sometimes forget the potential trauma involved in a positive diagnosis and the immediate and severe health consequences they can create. We have witnessed far more damage to patients enacted by callous idiot diagnosticians than by all but the very worst cases of scoliosis itself. In essence, the true pathological power of most cases of scoliosis resides in the potential effects on the psychoemotional self, rather than on the body. Patients fear health problems, pain, bracing and surgery and all of these worries can be greatly exacerbated by careless diagnosticians. A scoliosis scapegoat is commonly seen in the diagnostic arena, since so many cases of scoliosis are innocent, yet blamed for being pathological by opportunistic and greedy care providers. The Adams Forward Bend Test is a common diagnostic evaluation used to check patients for obvious signs of scoliosis. A scoliometer is a tool that can positively identify cases of scoliosis upon physical exam and can also relatively accurately access the degree of scoliotic change without the use of x-ray imaging. Scoliosis MRI is the best way to ascertain the collateral structural effects of scoliosis upon other spinal and muscular tissues in the dorsal anatomy. MRI is also the best tool for determining if scoliosis is affecting the heart or lungs. Scoliosis x-ray remains the gold standard for fast, accurate and safe diagnosis of scoliosis, as well as determining the exact angle of distortion expressed by the spine. Scoliosis Cobb angle evaluation is a method of determining the exact angle of scoliotic curvature on an x-ray or MRI study. There are several varieties of scoliosis testing and all can successfully diagnose the condition in most patients without the benefit of medical imaging. Getting a second opinion on scoliosis is always a smart move, since it will help minimize the chances of mistaken diagnosis, as well as financially-motivated predation by money-hungry care providers. Scoliosis classification should always be objective and based on the clinical facts of the condition, rather than speculation or incentive for monetary gain by the doctor or therapist. What is the best type of doctor for scoliosis evaluation and treatment? We provide a lifetime of experience on this important topic. Remember, while scoliosis specialists have great knowledge of the condition, some use their position to lead patients into optional care that is not needed or necessarily therapeutic. Most kids experience regular scoliosis exams in school. This can be the start of proper treatment or the beginning of long-term problems, depending on how the process is managed. “Schooliosis” is a humorous-sounding condition aptly named for some of the blunders that occur concerning scoliosis diagnosis in a school setting. Scoliosis prognosis and progression are highly case-specific parameters. Diagnosticians must be very carefully how to handle these topics in order to best serve the mind and body needs of their patients. 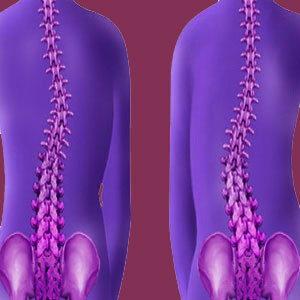 Misdiagnosed scoliosis is truly a wide-ranging problem of large proportion. So many people are misdiagnosed in one of the 2 ways detailed in the opening section of this resource section. Most people who are diagnosed with scoliosis are treated fairly and managed correctly in the medical system. However, even under ideal conditions, we still feel there is a distinct lack of compassionate understanding in most physicians’ clinical practice, especially when dealing with children. 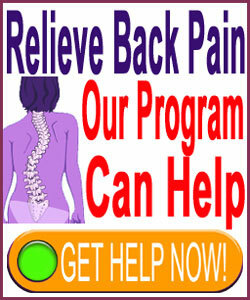 This problem can cause just as much damage to a patient as the most pathological spinal problem. There are also a substantial number of patients who are mistakenly diagnosed and suffer tens times as greatly due to these errors. We have been advocating for improvements in the diagnostic process and have seen progress towards this objective as more patients have benefited from deeper bases of knowledge concerning their conditions. However, the high level of subjectivity and relative low level of understanding of scoliosis demonstrated by the average patient still disposes many people to suffer unnecessarily. Hopefully, before moving ahead towards scoliosis treatment in the next section, you will take the time to learn all that you can on our website and avoid the terrible fates associated with misdiagnosis of any variety.